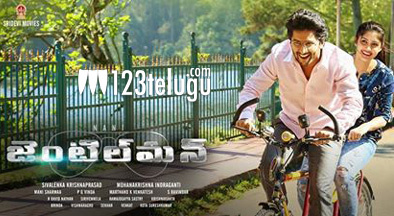 COLOURS MEDIA ENTERTAINMENTS Ltd is one of the leading players in UK and Europe for Indian movies has acquired the theatrical rights of entire UK for NANI’s GENTLEMAN telugu movie. Telugu romantic thriller film written and directed by Mohan Krishna Indraganti and produced by Sivalanka Krishna Prasad under Sridevi Movies. The film starss Nani, Surabhi and Niveda Thomas in the lead roles and Srinivas Avasarala, Anand, Tanikella Bharani, Pragathi and Rohini in supporting roles. The music was composed by Mani Sharma.